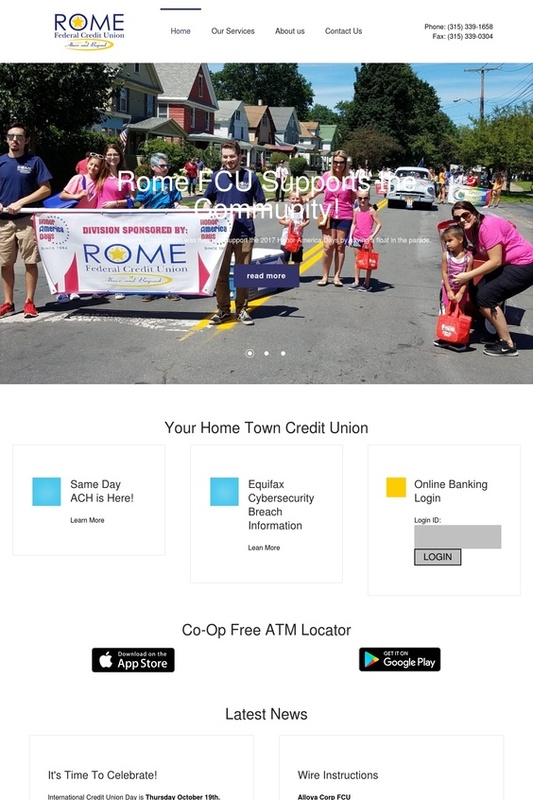 Rome Federal is a local Credit Union serving the needs of many area businesses. Located behind Revere in Rome we offer a wide variety of financial services with competitive rates. We hope that you will stop by and let us be your source for banking and loans. Technologies - Powered by CNYSource.com, Rome Federal Credit Union utilizes Active Server Pages with a MySql backend database.